Residence Life and UBC Recreation have partnered to bring you this exciting event. Gather your friends, bring your game face and be prepared to get dirty. The event will start in heats so your team can pick your start time (spaces limited). There will be prizes for best dressed team. Red Dots indicate obstacle locations. Obstacle Examples: mud pit, tire flip, group activities & more. 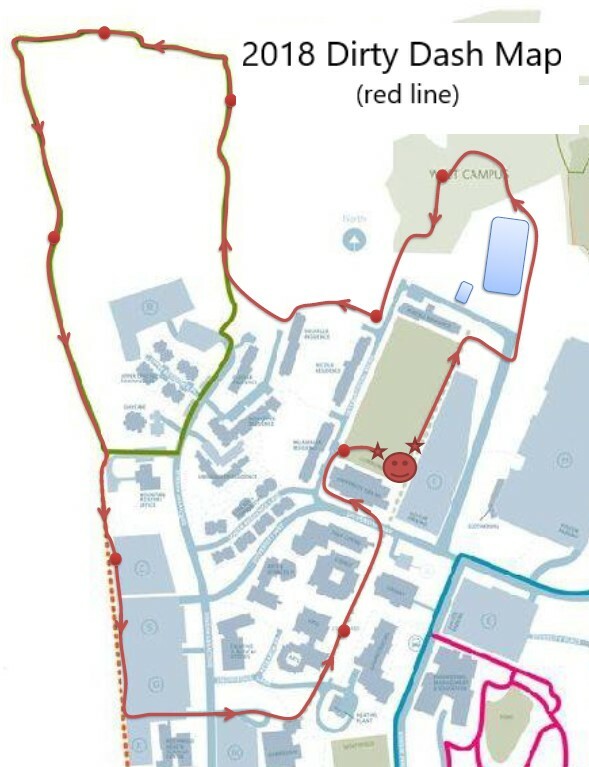 Please note that the course length is approximately a 4kms. While there will be course volunteers to provide direction, please ensure all members are aware of the course map prior to race day.